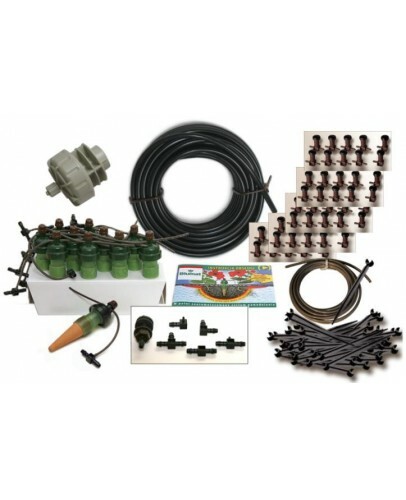 Irrigation set Tropf-Blumat for self-assembly. Recommended for use in garden, greenhouse and hotbed. 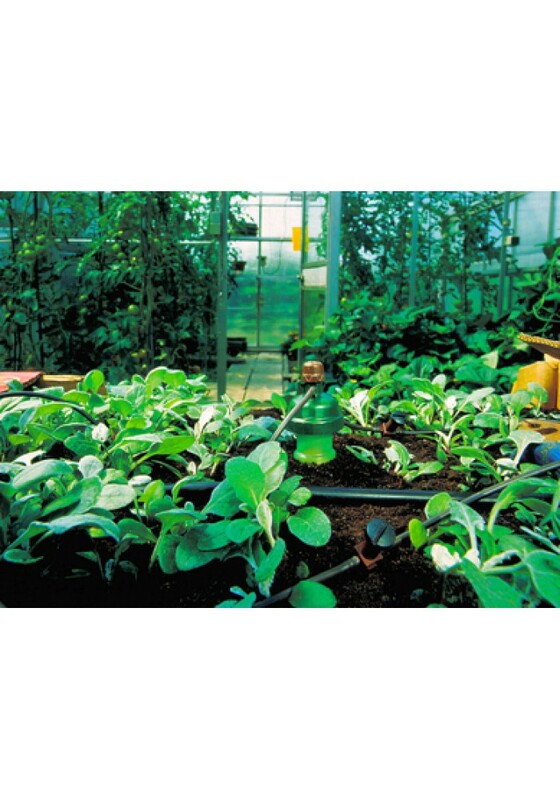 100 drippers which start to work if soil moisture, in which they sit, is too low. 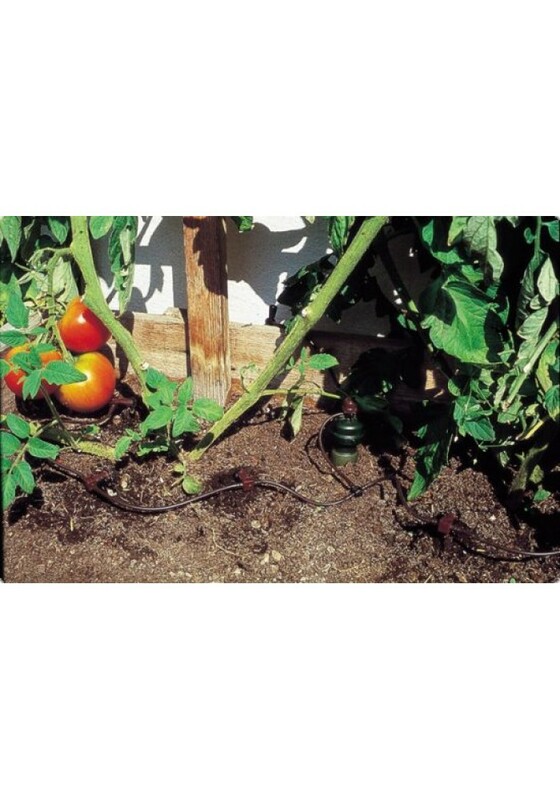 As soon as the soil reaches optimum moisture level, drippers stop. 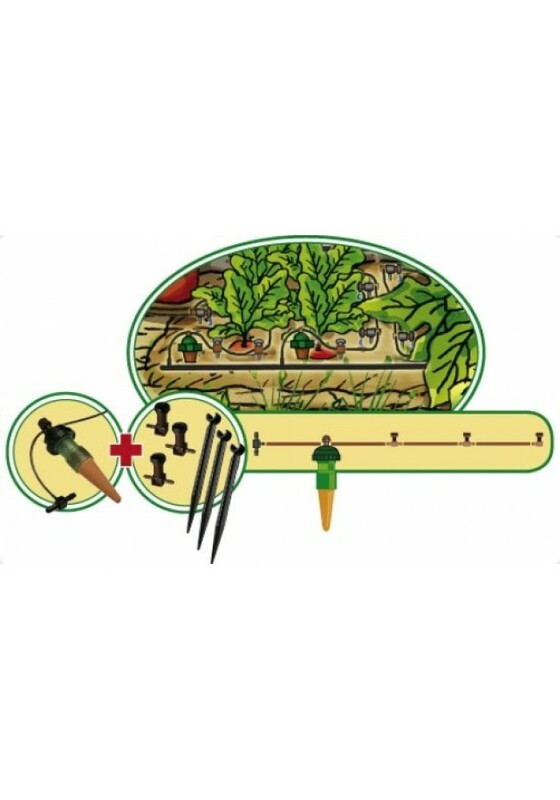 The plants' roots, not an electronic timer, decide when it's time for watering and how much water is needed. The system Blumat never stops working due to exhausted batteries or corroded contacts, because they are not required for its operation. Drippers react to direct sunlight and higher temperatures automatically, providing plants in those days more water. 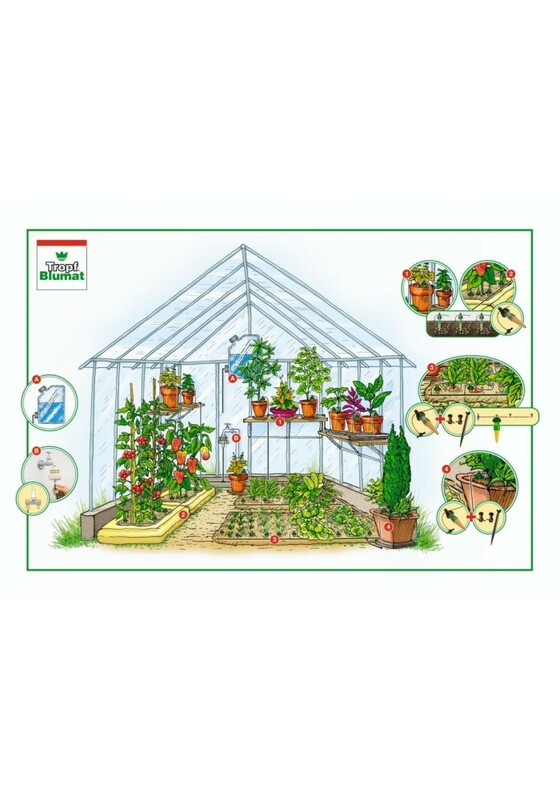 Tropf-Blumat will also take into account different water consumption of plants. 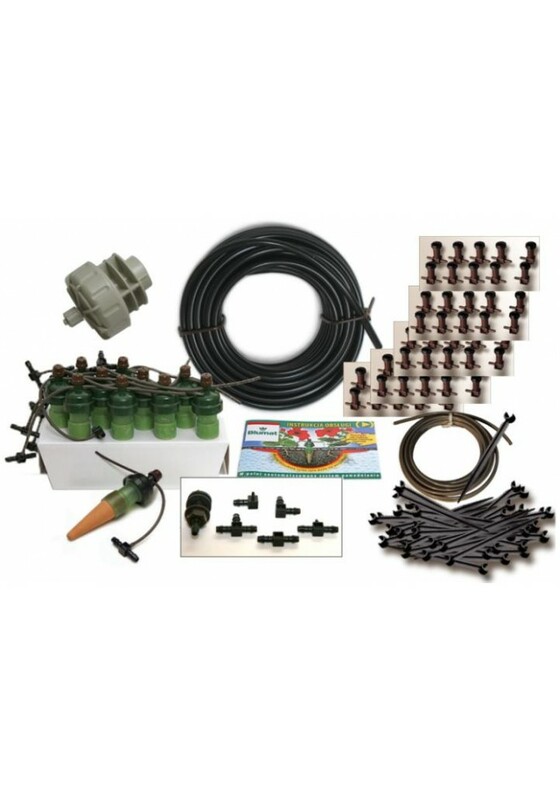 The greenhouse set 100 comes with 24 Tropf-Blumat sensors and 100 distribution drippers. 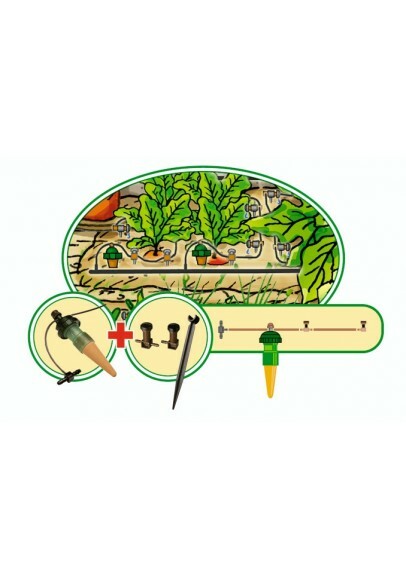 The Tropf-Blumat sensors regulate the water throughput. Up to 5 distribution drippers can be connected to one sensor, which ideally should supply water to plants having similar water consumption. This set of drip irrigation is very attractive because it can be easily modified to each seasons garden plan.